It wasn’t so long ago that Tom Holland revealed the name of the next Spider-Man film while telling people he had nothing to reveal, a paradox of comic-book proportions. And now, we’ve learned that a couple of longtime S.H.I.E.L.D. agents will be teaming up with the wall-crawler—which is good news for humanity, given how Avengers: Infinity War ended. 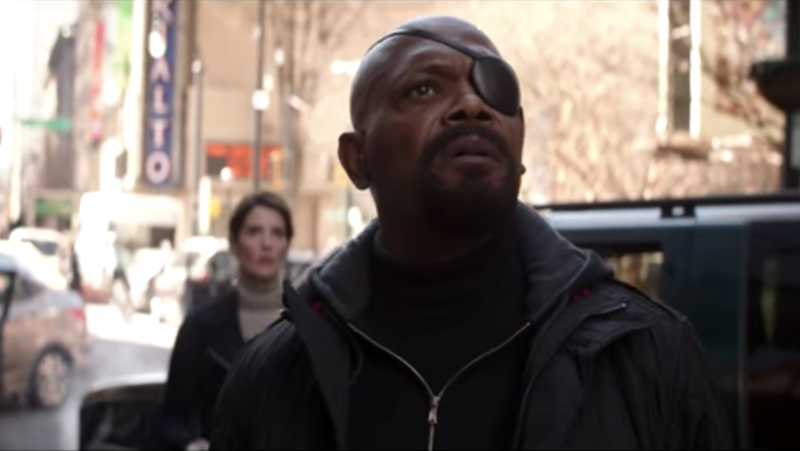 Vulture reports that Samuel L. Jackson and Cobie Smulders have joined the cast of Spider-Man: Far From Home, reprising their respective roles as Nick Fury and Maria Hill. What makes that good news for the rest of us sentient beings is that both of those ex-S.H.I.E.L.D. agents (or director, in Fury’s case) were last seen crumbling into nothingness at the end of Infinity War. Call us starry-eyed optimists, but Fury and Hill joining Peter Parker for some new adventures several months after Avengers 4 comes out provides hope that our remaining OG Avengers just might find a way to save the day. With great power comes great responsibility to Disney shareholders, after all. We know the sequel will be taking Spider-Man well outside the comfort zone of his native Queens, much as the title implies (though the reported destination of London, among others, isn’t as far from home as, say, the planet Titan). So getting a couple of experienced globe-trotting badasses to help Peter understand how his Eurail Pass works makes sense from a story perspective. Also, maybe this will clarify exactly what Fury and Hill are up to, job-wise. Sure, it seems like they are both back in some S.H.I.E.L.D.-esque capacity, but who knows? Maybe they just like to drive around and listen to classic rock while occasionally checking in on the fight against evil. If that’s the case, they might want to consider hanging out with the Winchester brothers.